Get your flowers in person! 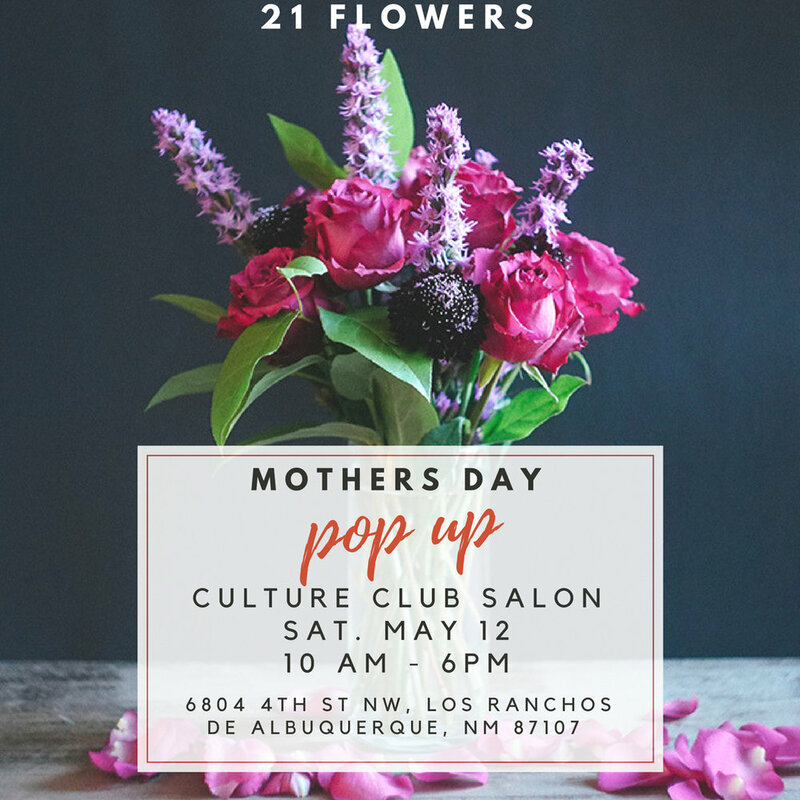 Mother's Day Pop Up at Culture Club Salon is from 10 AM to 6 PM in Los Ranchos on Saturday May 12. Order by Friday, May 11 2018 to secure delivery on Mother's Day. Exact delivery time is not guaranteed.